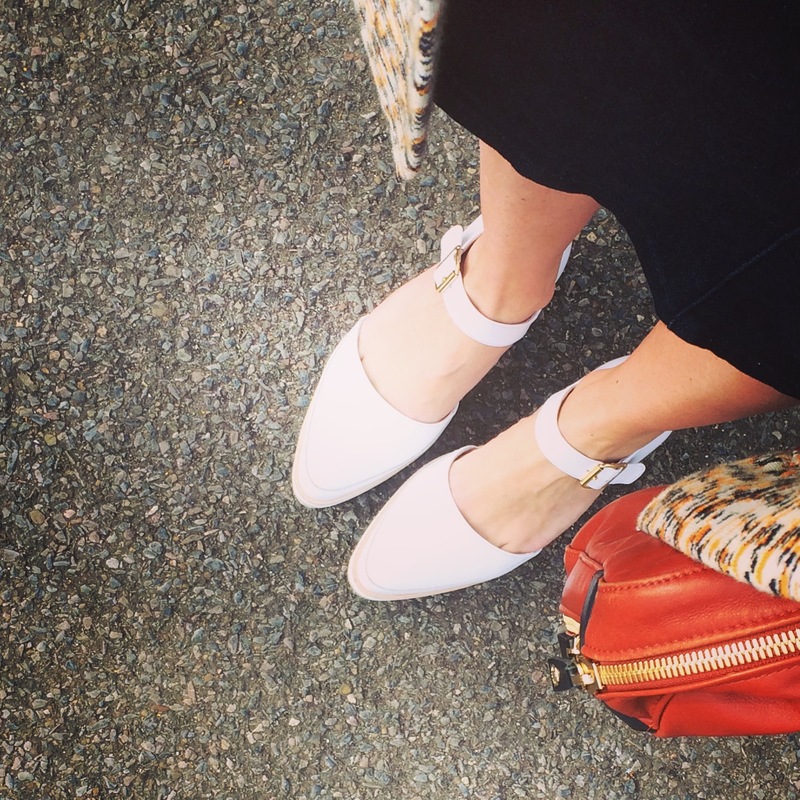 I love finding brands that don’t really sell in the UK, but do ship to the UK, because it means that you can get hold of shoes that you are very unlikely to ever see anyone else wearing. I like that kind of exclusivity! Which I certainly didn’t get when my friend Gav and I both took our Adidas Superstars (same colour and everything!) to Bruges…Anyway, I came across Anne Thomas last season (actually, to be totally honest, they found me!) and I have been really impressed with the boots I got from the winter collection. They are incredibly comfortable, and I often get complimented on them because they’re quite unusual. So I was very excited that my shoes from the new season collection arrived this week. The style I am wearing here is called Kingston. I am very fond of an ankle strap (I think they are very flattering) and these are a very elegant shape with the almond-shaped toe. They also have a lovely white sole which gives them a modern edge (and is also why they are so comfortable). Maybe it’s because the sun’s been out this week, but I’m really into white shoes at the moment, and you’ll find plenty more of them at Anne Thomas including these lovely fisherman shoes (below). There are also some iridescent styles, which are good fun, and all that sparkle might stem from the fact that Anne is also a jewellery designer. 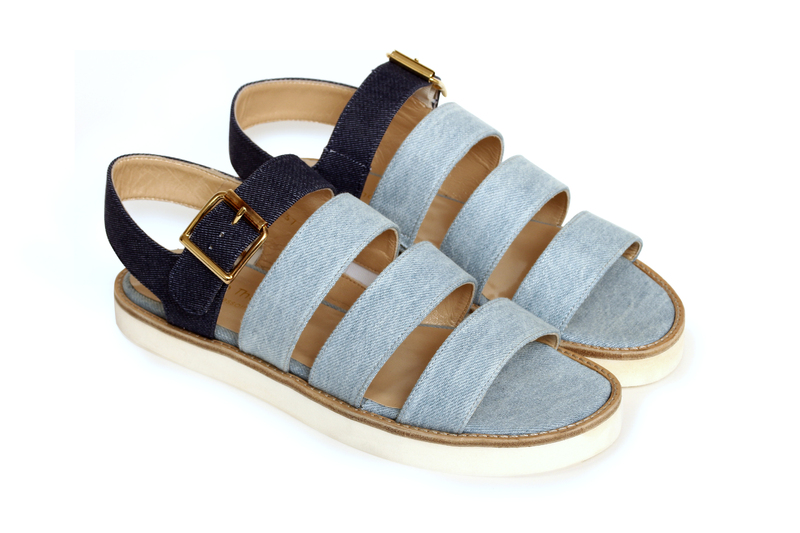 Plus those denim sandals are a timeless classic. This is such a lovely band, and comes highly recommended from me! The Kyoto sandals are too good! Was thinking of getting the Kingston sandal as well but unsure about the brand’s sizing. May I ask why size did you get for the Kingston, and what size are you in general? Thanks!